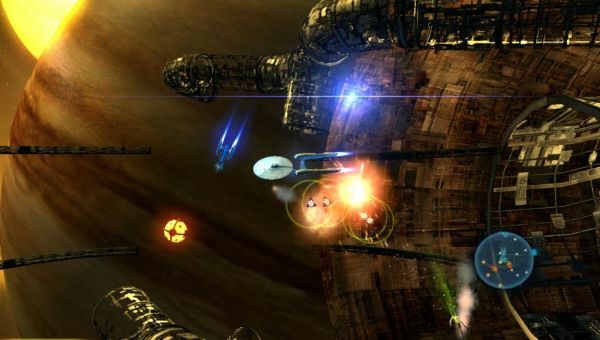 Lats spring, to coincide with the most recent (and awesome) Trek film, Star Trek D-A-C hit Xbox Live Arcade. A team-based shoot em up, with a decidedly old school arcade feel, we didn't think too highly of the game, particularly the co-op. Now the game is headed to release on the PC and the Playstation Network, in November, just in time for the DVD release of the film. What's new in this version? Two new classes of ships, the Missile Corvette and the Support Frigate, first of all. Additionally, a new game mode, new power ups, and a new map are included. Whether that's enough to make D-A-C a worthwhile purchase is likely dependent on your devotion to the Star Trek franchise.